Hello, guys and welcome to our post of Top 5 best SmartPhones to buy in June 2017. 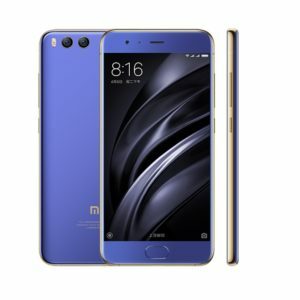 There are a lot of smartphones launching every week, which makes it difficult for the consumers to select one from those several Smartphones. Well, we are here to sort out this problem by presenting a list of 5 best smartphones to buy in June 2017. If you are looking to buy a Smartphone this month, then you can choose among these 5 smartphones that we have listed below. Asus recently unveiled the ZenFone live Smartphone in India, Which has become quite popular on social media these days. The Smartphone isn’t much special considering its hardware, but it comes with the company’s unique hardware optimized for live beautification app named BeautyLive that fixes blemishes and beautifies the face in real time. This feature is unique and makes the Smartphone different from its competitors. Xiaomi Mi 6 is a much-awaited flagship Smartphone from Xiaomi and as expected the Smartphone comes with a bang. From its design of the hardware part, there is nothing that doesn’t stand our expectations. Mi 6 has a 5.15-inch screen which perfectly matches its glass back. The edges are rounded and feel smooth. Mi6 has a full-HD panel with a 1920×1080 pixel resolution and a density of 428ppi. The design is a field where Samsung Galaxy S8 Edge leaves its predecessors far behind. It comes with an almost bezel-less screen. The Samsung Galaxy S8 is a perfect blend of metal and glass. At the sides, we have volume rockers and power button along with a new button which is dedicated to Samsung’s own Bixby. Nubia Z17 comes from a Chinese company named Nubia better known for their mid-range smartphones. Nubia Z17 is priced at 19,999 and will take on the traditional sub Rs. 20,000 smartphones and even the handsets priced around Rs. 25k. The highlight of the device is its dual camera setup with the metallic body and a 16 MP camera in front. The Smartphone is powered by the 64 Bit Octa-Core Qualcomm 652 processor and comes alongside 4GB of ram and 64GB internal memory. Samsung Galaxy J7 Prime was launched back in April this year. The phone has a large 5.5-inch touchscreen display with a resolution of 1080 pixels by 1920 pixels at a PPI of 401 pixels per inch. In India, the device is being sold at the price of Rs 15499. The device is being powered by 1.6GHz octa-core Exynos 7870 processor and comes with a 3GB of ram. It has a 13MP primary camera and an 8MP rear camera. It runs on Android 6.0 Marshmallow and has a 3,300 mAh battery. That’s it this completes our post on Top 5 Best SmartPhones to buy in June 2017. Hope you liked it and if you do, then please don’t forget to share this post with friends.